Welcome to the 4th week of the year, Amazons. How have you been doing with your goal setting? Did you ponder what you want in 2013 this weekend? Come up with anything good? If one of your goals is to change your health, are there small benchmarks throughout the year you can use? What about running a 5k before summer or doing a Triathlon in the fall? Hiring a trainer this spring? Work out every other day for a month? 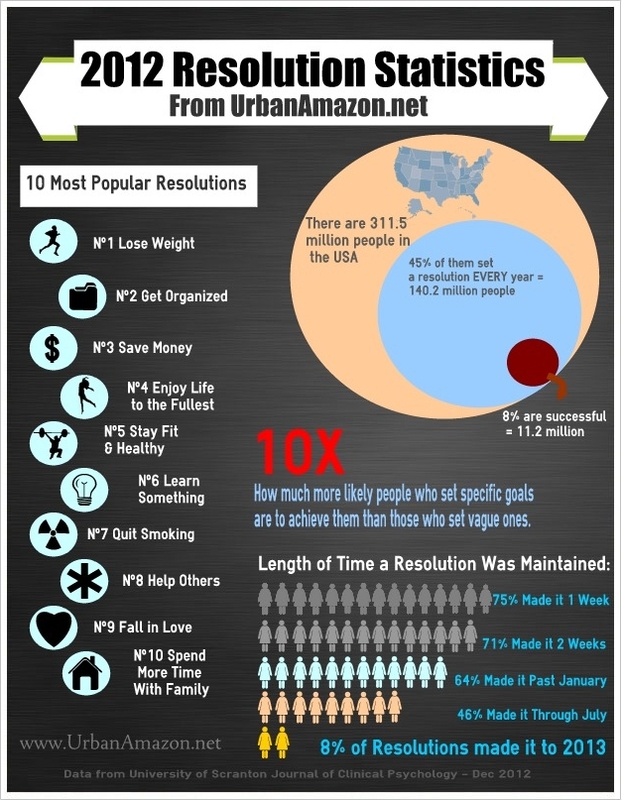 Find ways to break up the goal you’ve set for the year and use the Monthly Breakdown page of the Urban Amazon Goal Setting Template to do it. You can also use the Training Calendar tab to plan your workouts ahead of time. Depending on what you’re organizing you can break this up a few ways. When this was one of my goals last year I divided it by room and section a few weekends a month. One weekend was books and shelves in the office, a few weekends later it was books and shelves in the living room. Identify the areas that need re-working and set yourself up a monthly plan to attack them. Real Simple is doing a year long series on this topic so you might want to pick up a copy. The January piece on the kitchen was really helpful. Sometimes it feels like you’re training for so many things your body is going to give out; other times it’s a training drought and your couch is your best friend. To smooth out these valleys and peaks schedule a few smaller races or events between your big ones. Or you can set some monthly benchmarks to keep pushing yourself. If your marathon is in June do some 5k & 10k races in March and April. If your tri is in August, do a dual in May. What are your other sport specific goals and how can you break them up? Ah, one of the most persistently sticky goals and one of the easiest to structure if you can build the self control. I suggest breaking this one down in two ways. The first: use Mint.com to make yourself a budget if you don’t have one already. There are a million other ways to go about this, but if you’re lazy enough to not have done it already you probably want the easy way out. If you have sufficient income then I’d suggest setting up savings goals with auto-magical transfers for whatever you’re trying to save for. If you’re in debt, struggling, or right on the line then turn to an expert, get a book or two, and start buckling down. Again, try to find ways to chunk this one up; but you’ll need a baseline first. Thursday we’re going to talk about real habit change. Now you’ve made some short-term plans, it’s time to identify where the problems lie and how to fix them. In February & March I’ll be writing a dedicated post about changing habits in each of these categories to build on everything you’ve been working on. Keep it up & remember to breathe. If you’d like private coaching on goal setting, health & wellness, or life change please feel free to contact me directly at darlene@urbanamazon.net.